Use the form below to contact our firm and tell us about your case. The lead attorney at The Law Office of Robert Tayac is a highly respected attorney in the field of DUI defense who truly cares for his clients. Contact his office today for a no-obligation review of your case and to commence work toward achieving your best possible result. Welcome to the website for San Francisco DUI lawyer and California DMV attorney Robert Tayac. If you, a relative or someone you care about has been arrested for driving under the influence (DUI) in San Francisco, or the surrounding counties of Alameda, Contra Costa, Marin, Napa, San Mateo, Santa Clara or Sonoma, or has received a letter from the California Department of Motor Vehicles Driver Safety Office threatening a driver's license suspension or driving privilege suspension, please read the material presented in the "What to Do First" and "DUI Overview" sections of this website, then seriously consider calling this office and hiring an experienced and locally based attorney who specializes in state and federal driving under the influence cases and California driver's license suspension matters. California DUI Laws are complicated and DUI defense is a specialty. A California arrest for driving under the influence usually initiates two separate cases. The first case is a criminal case, while the second case is a DMV case. Those arrested for drunk driving who hold professional licenses (attorneys, physicians, nurses (registered nurses or licensed vocational nurses), physical therapists, teachers, certified public accountants (CPA's), pilots, stock brokers, bankers, veterinarians, dental hygenists, x-ray technicians, or other professionals) are at risk of having an additional case initiated by the board or commission which issued the license. This additional case may impact a person's license to practice their profession or affect their employment. Individuals who hold positions of trust, such as law enforcement officers, fire fighters, scientists, teachers, commercial truck drivers, airiline pilots, and those who hold security clearances will also be presented with specific legal issues that require special attention. Out of state drivers are presented with additional legal issues because the state which issued them a driver's license (home state) can be expected to initiate a case against their out of state driver's license which may carry additional consequences to those which may result from the California Department of Motor Vehicles suspension case. Almost all states have entered into several agreements to include the Interstate Driver's License Compact (DLC), Non-Resident Violator Compact (NRVC), and Interstate Driver's License Agreement (DLA). Collectively, these compacts and agreements are intended to further a national policy that there should be only one driving record for every person who drives or has ever driven a motor vehicle in the United States. The states which are members of these compacts share information through a computer database of information called the National Driver Register (NDR). This database contains information about drivers who have been convicted of minor traffic violations or had their driving privilege suspended or revoked in a state other than the one which issued them a driver's license for a serious traffic violation such as driving under the influence (called driving while impaired and DWI in some states), reckless driving, or other driving offenses. Once the home state is notified, the Interstate Driver's License Agreement requires a member state to post the out of state traffic conviction to their state's driver's license record and apply its own laws and consequences for the out of state conviction. If a person is not a citizen of the United States, the risk exists of deportation, denial or significant delay of naturalization, exclusion from admission to the United States, exclusion from readmission to the United States following travel outside of the United States, denial of an extension of an H1B work visa or an upgrade to Lawful Permanent Resident status (also called, Resident Alien Permit Holder or Green Card Holder) or other renewal or upgrade of status with the United States. Immigration Agents regularly visit the county jails of each of California's fifty-eight (58) counties, review the records of individuals who have been arrested and interview those in custody in an effort to identify non-citizens who have been arrested for criminal offenses. Once identified, the United States Immigration and Customs Enforcement (ICE) Agent will place an immigraion hold on the arrested person which will prevent them from being released from the county jail by the sheriff's department or a California Superior Court Judge. For this reason, it is essential that release of a non-citizen be arranged as soon as possible following an arrest through bail or other means. Motorists are continuously being monitored and screened for suspicious activity and violations of the law by California Highway Patrol Officers, local Police Officers, County Sheriff's Deputies and other law enforcement officers. Even before being stopped, incriminating evidence is being collected and is sometimes recorded on video cameras mounted on the dashboards of police cars. Officers take note of so-called vehicle in motion DUI Driving Cues, the details of which are included in police reports. The DUI investigation will continue or be initiated after the officers stop the motorist and make personal contact with the driver during the pre-arrest screening phase of a driving under the influence investigation. A driver's physical appearance and performance on so-called field sobriety tests will be detailed on a police report, as well as the results of a Preliminary Alcohol Screening (PAS) breath alcohol test. Sometimes, the conversation between the officer and the motorist will be recorded on an audio or video recording device. After the DUI arrest, the results of an evidential breath test, or evidential blood test will be included in the police report, as well as on a separate breath test strip or separate laboratory report of blood analysis. While serious, the consequences of a first offense DUI arrest are less severe than those of a second offense DUI arrest. Multiple offense DUI cases such as a third offense DUI or even a fourth arrest for drunk driving will lead to increasingly serious DUI penalties which may include mandatory jail time or even a state prison commitment. Additionally, the consequences of a DUI accident or a DUI accident causing injury or death are very severe and may lead to an actual jail or prison sentence even for a first offense driving under the influence conviction. Although there are DUI defenses which may apply to particular cases, many attorneys overstate the extent to which these defenses may be applicable to a particular individual's case. In fact, the California Department of Motor Vehicles has reported that 77.2 percent of DUI arrests made in 2009 resulted in convictions. Additionally, it is important to understand that special rules, procedures and penalties apply to Federal DUI cases stemming from arrests in the Presidio National Park, Moffett Airfield or on other Federal property by the United States Park Police or other federal law enforcement agencies. Federal driving under the influence cases are prosecuted by the United States Attorney's office and upon conviction result in formal supervised probation by the United States Probation Office who will come to a person's home and may contact their employer. If you are attempting to locate someone who has been arrested, feel free to use the directory in the "Finding Someone in Jail" section of this website. However, it is important to realize that several hours may pass from the time of the DUI arrest until a person has been transported to the county jail for booking. Depending upon other factors, several additional hours may pass until the individual has been formally booked (interviewed, fingerprinted, photographed, checked for warrants) and their name has been entered into the county jail's database. Feel free to contact this office any hour of the day or night if you need assistance locating someone who has been arrested or in facilitating communication with a reputable bail agent. A DMV hearing must be requested on your behalf within ten (10) days of your DUI arrest, or your driver's license will automatically be suspended thirty (30) days from the date of your arrest. Robert Tayac is recognized as being a top California DUI lawyer and leads an experienced team of highly qualified DUI investigators and DUI experts who serve clients accused of driving under the influence violations in San Francisco and all San Francisco Bay Area Courts. Mr. Tayac has specialized education, training, and experience in driving under the influence defense, enabling him to handle any California DUI case. Notably, Mr. Tayac has trained other lawyers who practice in the San Francisco Bay Area. Additionally, Mr. Tayac, as a former San Francisco Police Officer and Police Inspector, is the only California DUI attorney trained by the San Francisco Police Department in DUI investigation and certified by the San Francisco Police Department on the Intoxylizer 5000 breath alcohol testing device. The Intoxylizer 5000 is the only evidential breath testing device used in San Francisco driving under the influence prosecutions and Federal DUI prosecutions arising from arrests occurring within the Presidio National Park. Although most other Bay Area counties use the Drager Alcotest 7110 MK IIIC evidential breath testing device, Mr. Tayac has received specialized training from the manufacturer on this device. Notably, Mr. Tayac is a qualified accident investigator, having received advanced law enforcement training in accident investigation. As well, Mr. Tayac coauthored the Fourth Edition of California Drunk Driving Defense, which is the practice guide other attorneys use as a reference when they have questions regarding how to handle their clients' driving under the influence cases. The California Supreme Court cited Mr. Tayac's book as an authority in the DUI criminal case of People v. McNeal in 2009. The California Supreme Court decides appeals and is the highest California Appellate Court deciding important legal questions and reviewing the decisions of the California Superior Courts and the California Court of Appeal. 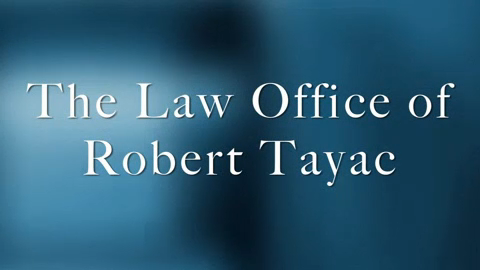 The Law Office of Robert Tayac has a record of success and achieves the best possible result in each client's case. For nearly twenty years, Mr. Tayac's office has been and remains the choice of professionals who are accused of driving under the influence and are being prosecuted in San Francisco or one of the surrounding counties of Alameda (Fremont, Hayward, Oakland and Pleasanton), Contra Costa (Martinez, Pittsburg and Richmond), Marin (San Rafael), Napa, San Mateo (Redwood City), Santa Clara (Palo Alto and San Jose) and Sonoma (Santa Rosa). There simply is no attorney who will achieve a better result in a California driving under the influence case. Mr. Tayac's principal office is located at 505 Montgomery Street, 11th Floor San Francisco, California 94111. Satellite offices are maintained in Napa, Redwood City, San Rafael, and Walnut Creek. For more information on driving under the influence matters in neighboring cities and counties, feel free to review the county specific information on the resource pages listed here. Mr. Tayac and the DUI investigators and experts working with him stand ready to help you or your family member. Feel free to consult with a member of the office regarding the case any day of the week between the hours of 8:00 a.m. and 8:00 p.m. Pacific Standard Time at 415-552-6000. If you hire the Law Office of Robert Tayac, you will know that you have retained the services of the most knowledgeable and experienced DUI defense team. Contact the Law Office of Robert Tayac for a consultation! 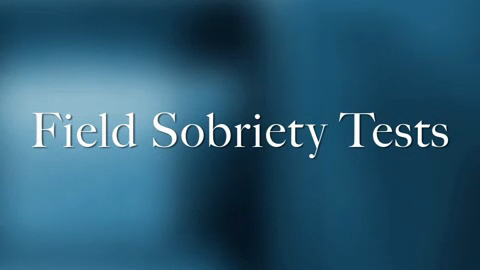 Attorney Robert Tayac talks about the firm's experience handling DUI related cases. 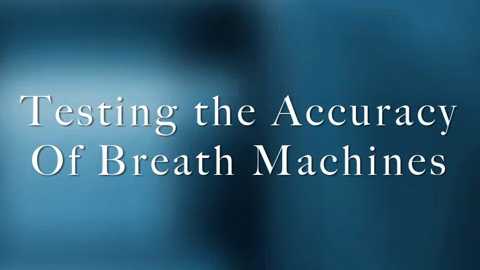 Attorney Robert Tayac talks about breath test machines and how to determine if they are accurate. Mr. Tayac discusses the two types of field sobriety tests and what you should do if you are asked to perform one.